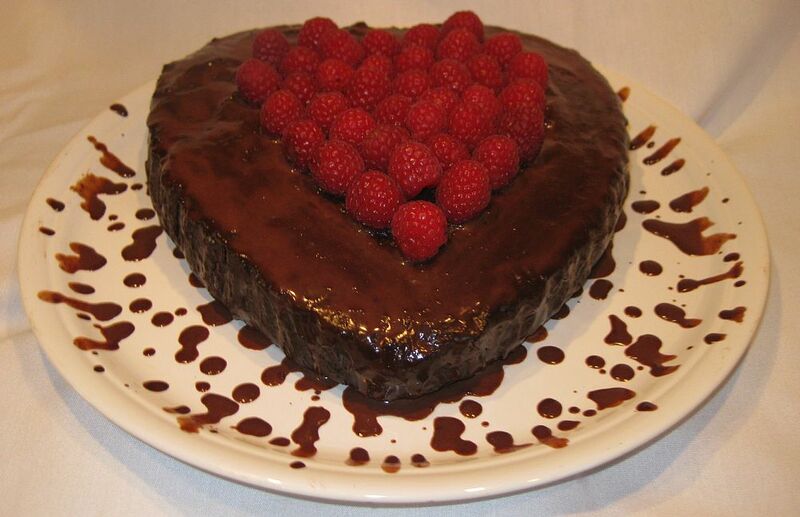 Valentine's day is here and nothing says love quite like a chocolate cake! 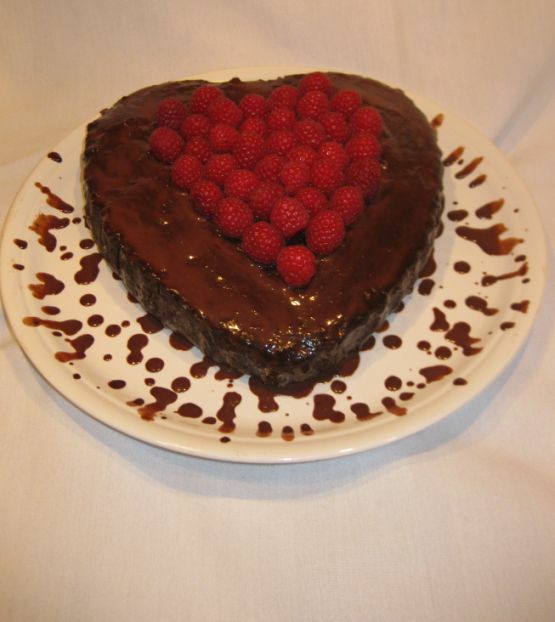 Treat your beloved to a delicious home-made surprise for Valentine's Day, with this recipe for a pretty heart-shaped chocolate cake dressed up with fresh raspberries. The cake is so pretty and it definitely say today is Valentine day! 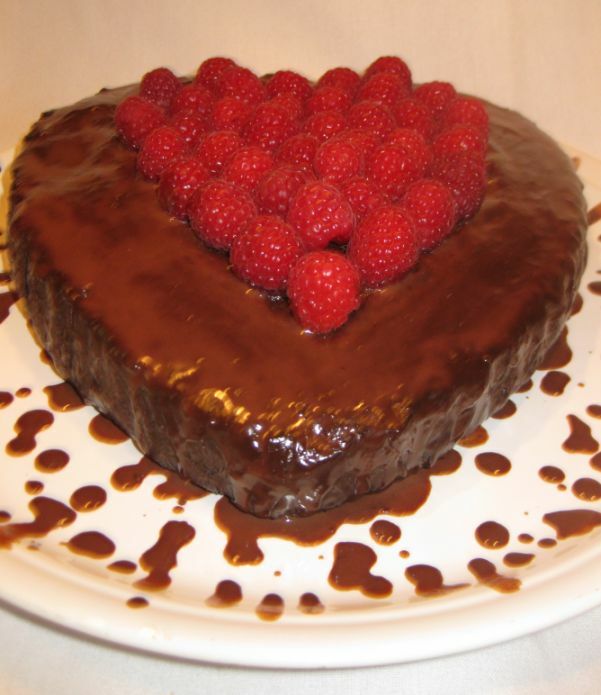 What says "Happy Valentine's Day" better than a rich chocolate cake! 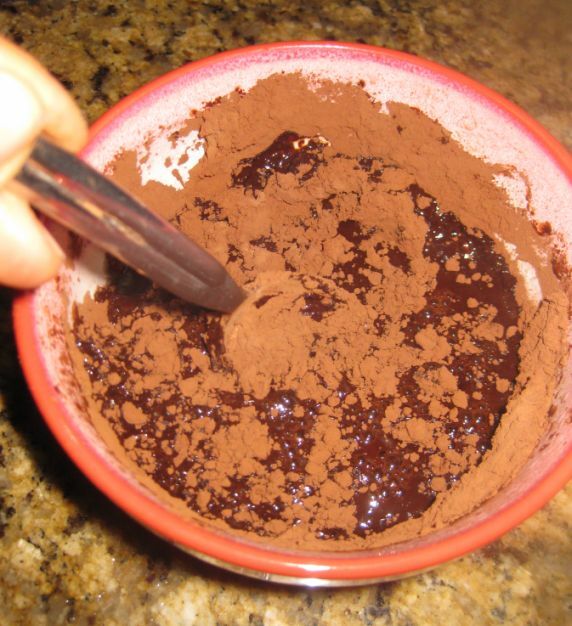 Mix the cocoa and boiling water in a bowl. 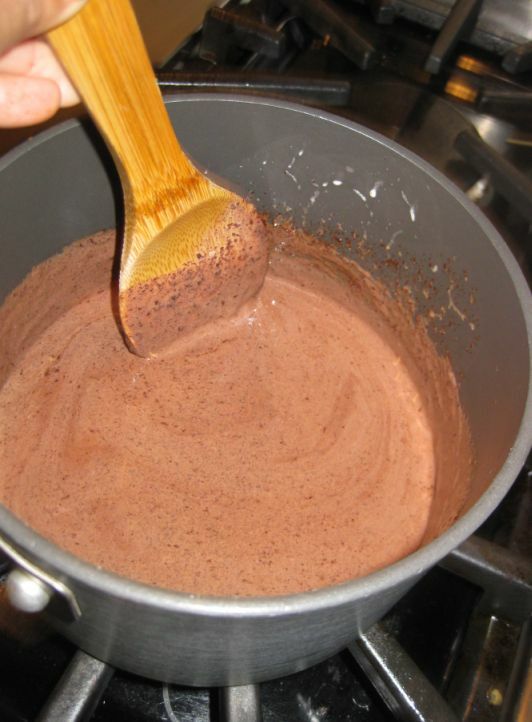 Whisk the cocoa and boiling water until smooth. 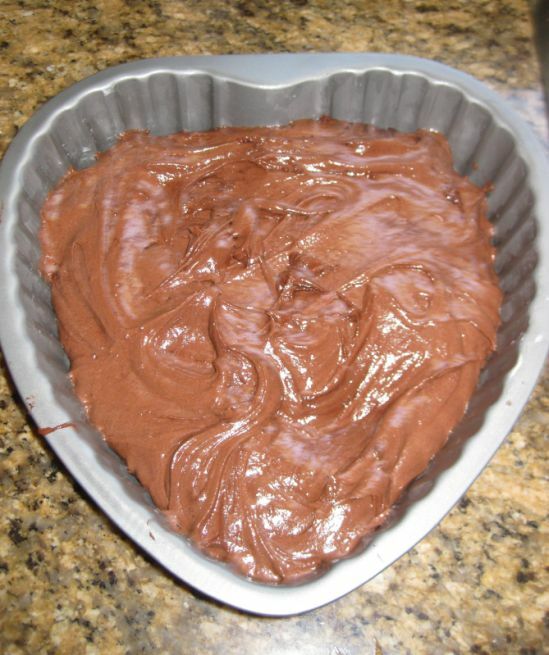 Cover with plastic wrap to prevent evaporation and cool to room temperature. About 30 minutes. 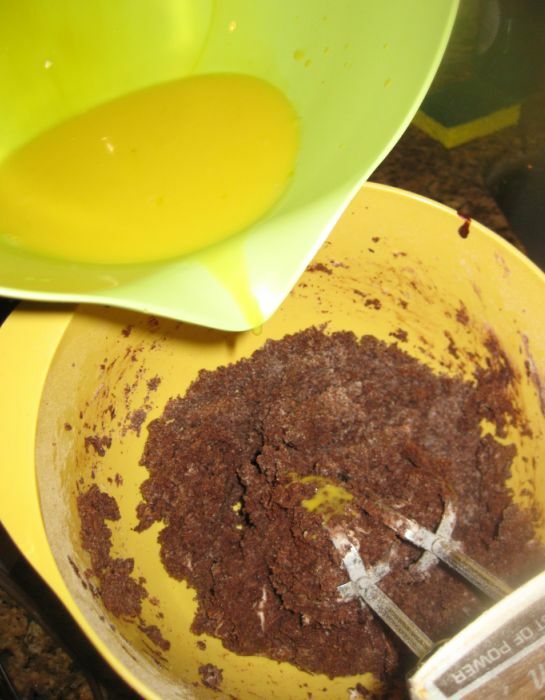 In a another bowl mix the flour, sugar, baking powder, and salt on low speed for 30 seconds. 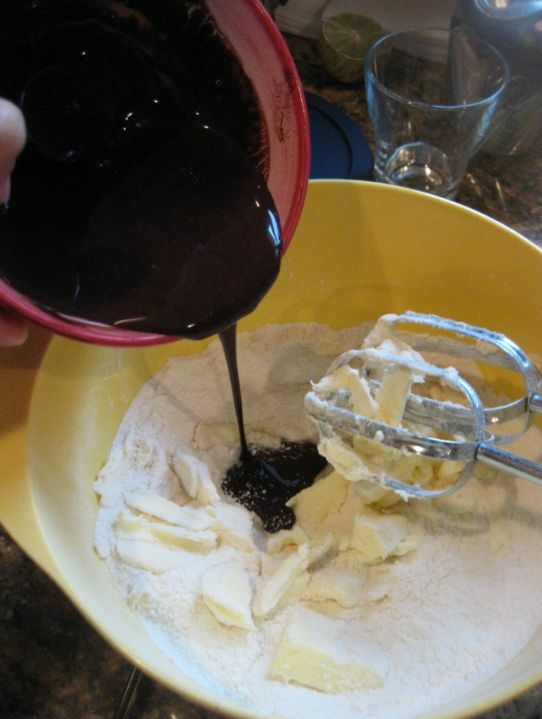 Add the butter and the cocoa mixture. 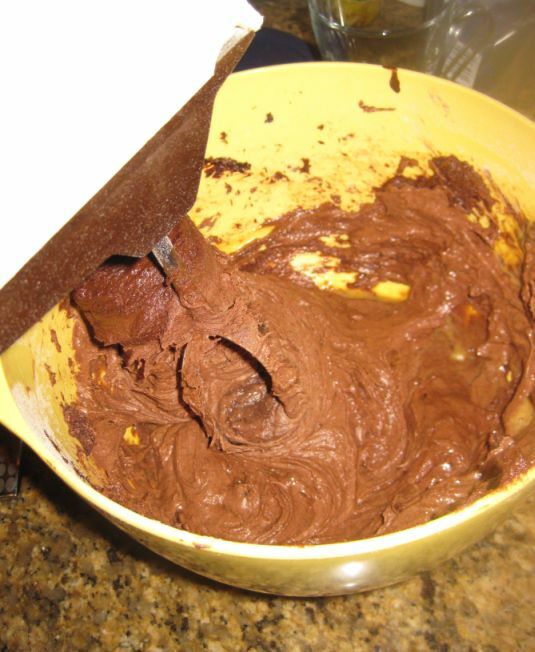 Mix on low speed until the dry ingredients are moistened. 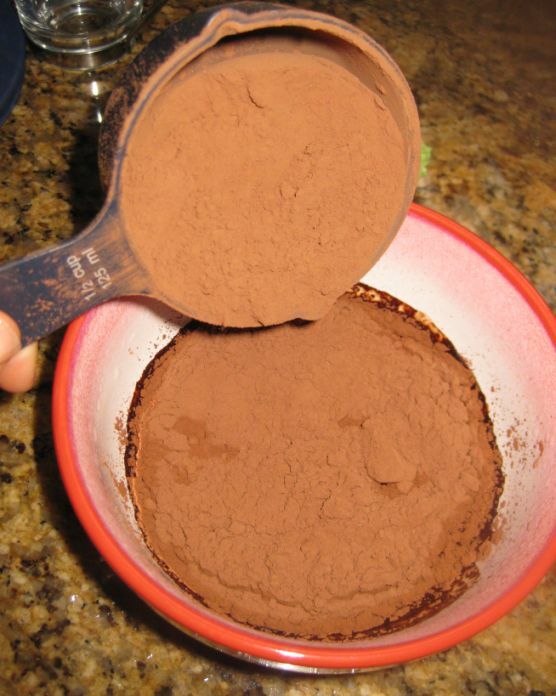 Raise the speed to medium and beat for 1 1/2 minutes. 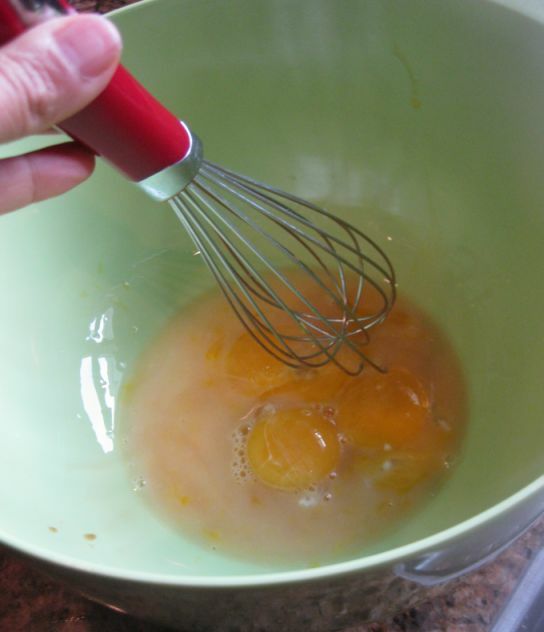 Starting on medium low speed, gradually add the egg mixture in two parts. 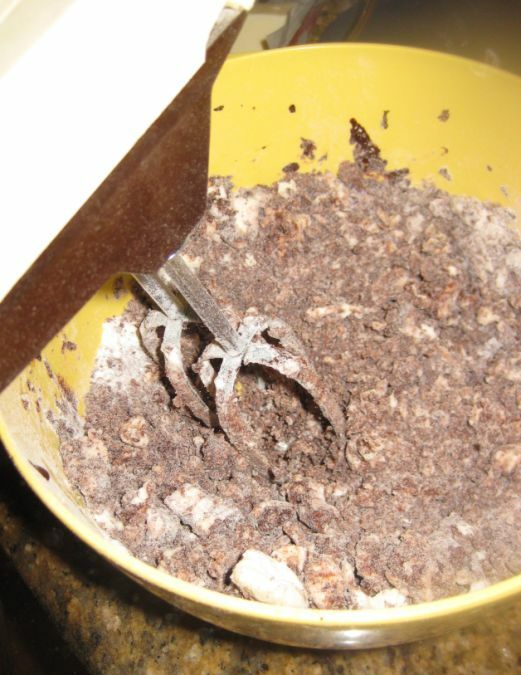 Beatings on medium speed for 30 seconds after each addition to incorporate the ingredients and strengthen the structure. 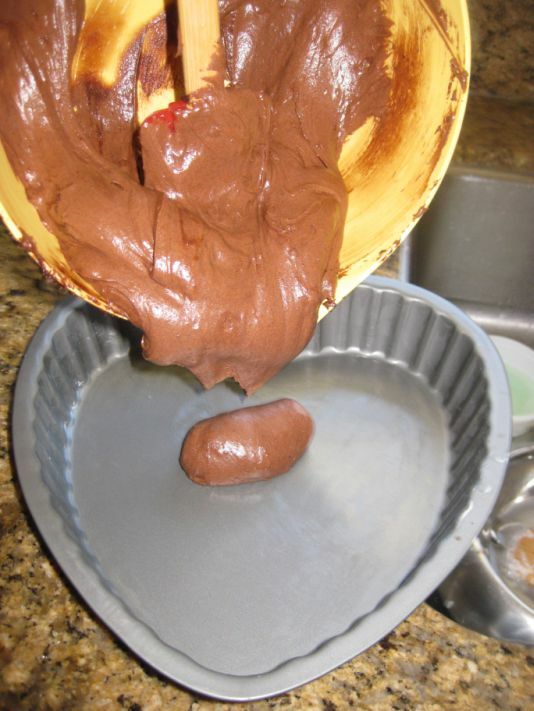 Pour the batter into the mold. 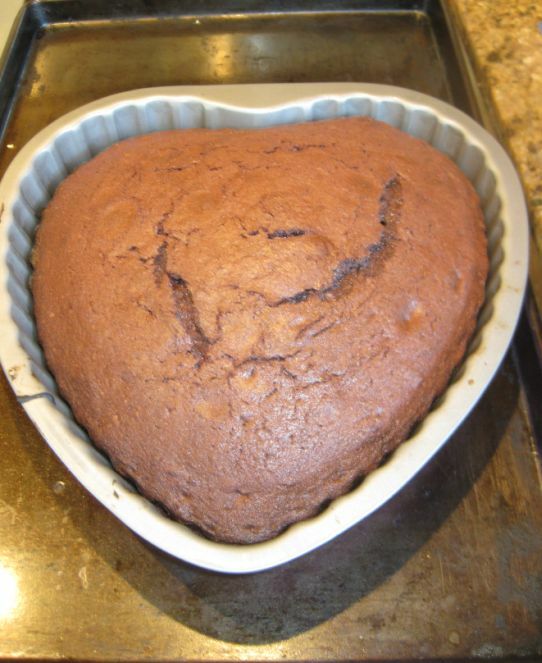 Preheat your oven at 350 degrees and put your cake in the oven for about 30 to 40 minutes. 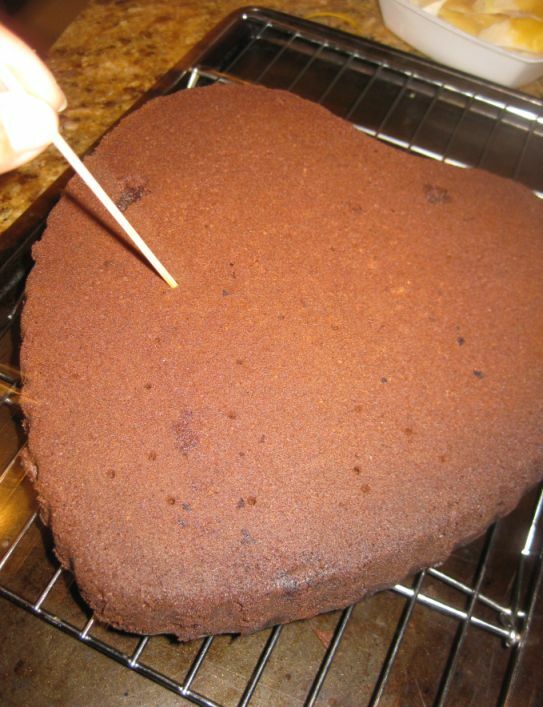 Freshly out of the oven..
As soon as the cake comes out of the oven, place on a wire rack, poke holes all over the top with a wooden skewer. 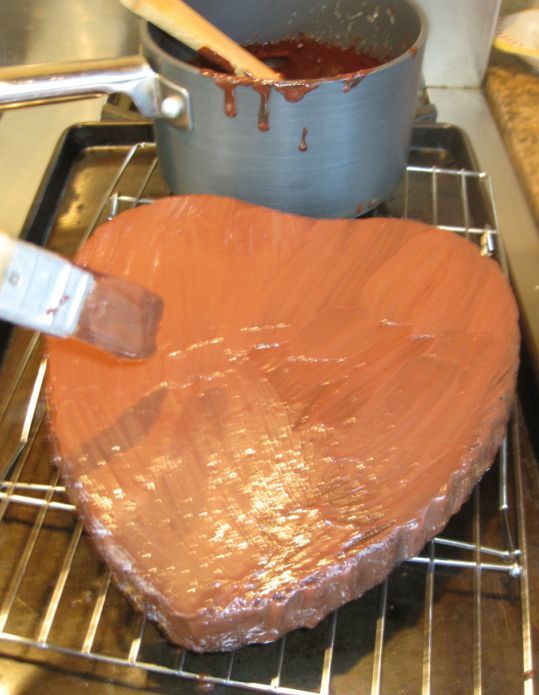 While the cake is baking prepare the ganache. 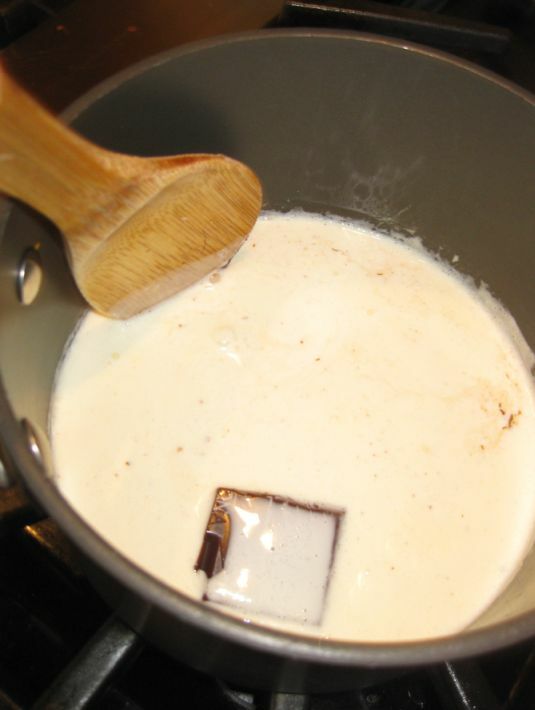 Turn off the heat and pour in the chopped chocolate. 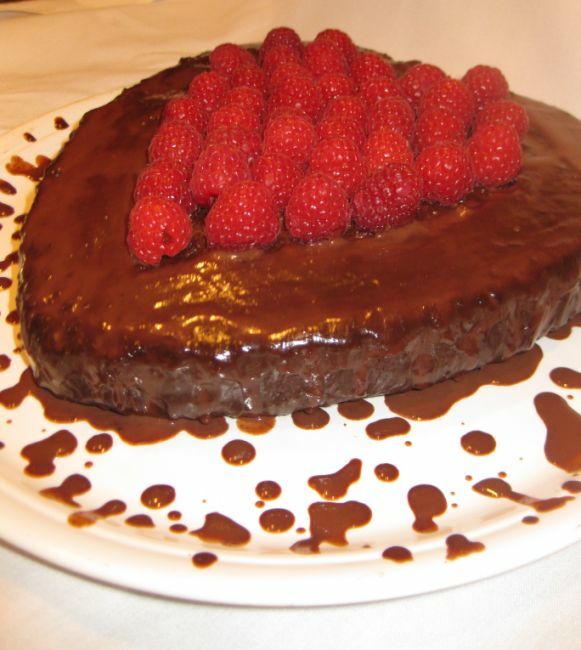 Use a brush to dabble half of the ganache glaze onto the cake. 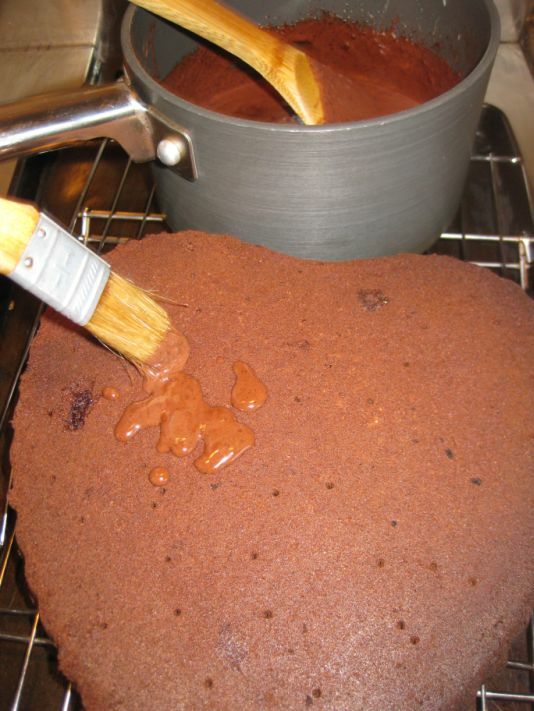 Keep brushing the glaze on top of the cake. 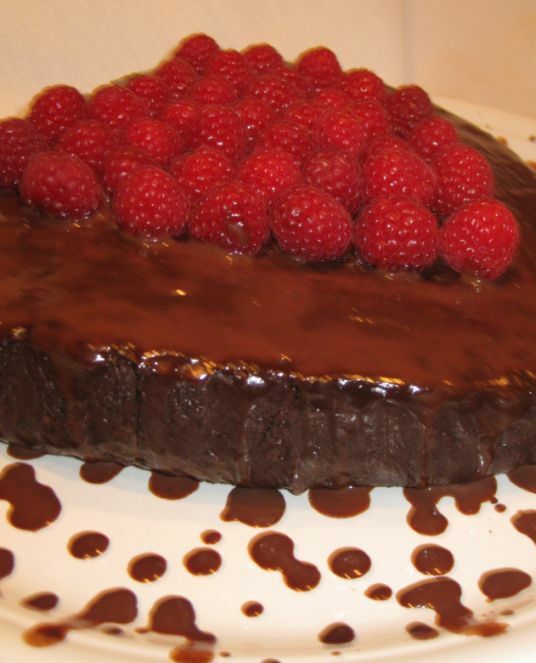 Let the ganache dry and garnish with fresh raspberries.